Heyyy! I'm renting my private room out from the 25th of May until the 28th of June as I'm going back home for 5 weeks. It's located in Manly on Sydney road, about a 5 minute walk down the street to the corso. We have a secure parking spot in the building and parking on the street as well. Any other questions, just send me a message! 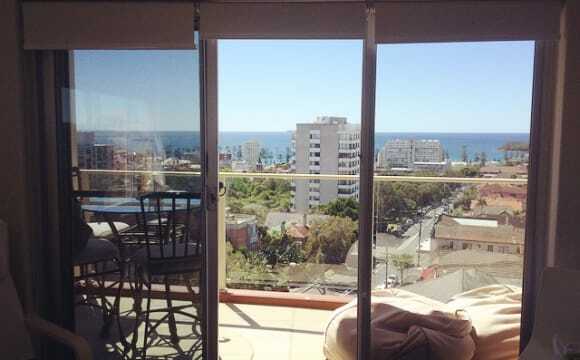 Hey, We have 1 large double bedroom available in our house, it has amazing views overlooking the beach and manly headland the room is currently furnished with a queen bed but can be unfurnished if needed! It’s also has a large double mirror built in wardrobe! Our house is got a pretty good set up with darts, decks Xbox ps3 etc!! We are all working full time, very chilled out people, we hang out together bit also respect each other’s personal space and keep the house very clean! Please get in contact if interested with details about who would like the room your background and length of stay thanks! This home is beautiful modern and quiet. Just a short walk into manly the apartment is in a lovely quiet street away from the hustle and bustle. Its a well kept apartment, furnished with everting you need and also has wifi and Netflix! There is a courtyard for entertaining. *Available Sunday 26 May 2019 to Sunday 7 July 2019 only! 6 weeks* My large double room in this beautiful flat is available to rent for 6 weeks whilst I am travelling in South America. Looking for an easy going, clean and tidy person who needs a short-term stay. The apartment is located very close to Fairlight beach (stunning with an ocean pool), Balgowlah Stocklands and 15 mins walk into Manly. There is an express bus into the city too, 30 mins on a good day! Apartment has amazing views, as you can see from the picture! Right on the Manly to Spit walk. Huge living area is great for chilling out, with a balcony that basks in morning sunshine! A bright, spacious, fully furnished 2 bedroom apartment which is in a quiet block of 6 units. 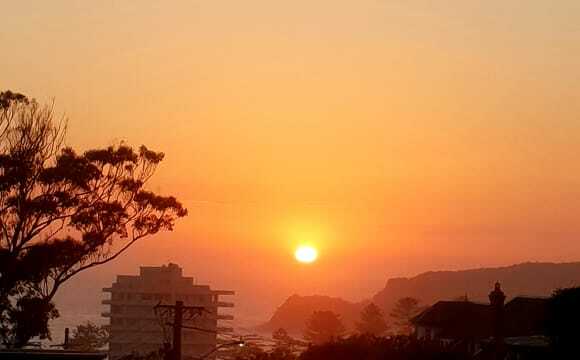 It is a 5 minute walk to Fairlight Beach and 10 minute walk into Manly. The bus to and from the city is just outside of the apartment. I'm looking for a working professional who is clean and tidy. Room available in a large 2 bedroom flat in Fairlight. This flat is on the ground level and is part of a 2 apartment duplex. The room has a lot of natural light and looks over a private garden area. There is a large build in wardrobe with shelving &amp; hanging options. The flat contains a separate toilet &amp; shower, fully equipped kitchen, large living room, dining room &amp; large outdoor garden area. Looking to fill within the next 2 weeks. $310 pw plus bills. Hi there, We have one shareroom to rent in our house . We are 2 minutes walk away from Manly's Wharf and bus stops!!! Enjoy a great lifestyle and a good place to relax after long days of work or study. It’s a quiet area with plenty of street parking, so If you have a car, you can typically find parking right in front. Important tips: *English style house in a great location. *Great furnished room. *Backyard with two barbies (coal and gas). *Multicultural housemates *Good and relaxing atmosphere. *Car parking can be arranged. *The price includes all bills (electricity, water, unlimited high-speed internet) and bathroom *Storage room to keep bikes and boards. rent includes: Internet Water Electricity House cleaning products such as (dishwashing soap, sponges, floor detergent, toilet paper, ETC) You don't pay anything on TOP!!!!!!! The house is quite big, with a massive garden with 2 bbq's garage for storage of bicycles, surfboards, ETC. The rooms and house its very clean and tidy. All the people in the house are very friendly and open to share a dinner or a couple beers together in the house or in front of the beach.. We try to be a family, always ready to help each others . So if you like to be part of our family just text or call us . NO PARTY HOUSE!!! CALL US NOW TO ARRANGE A TIME TO CHECK IT! Large king size master room available in a beautiful bright and airy 3 bedroom apartment, which features a large living area with plenty of morning sun, comfortable sofa and a big screen TV. We have a spacious wrap around balcony with a lovely open view towards North Head and glimpses of Manly harbour, perfect for having breakfast. Fully equipped kitchen with gas stove and oven. The modern bathroom has an internal laundry and the toilet is separate. The room is a very large KING size room, which comfortably fits a king size bed as well as additional furniture such as bedside tables, a book shelf or chest of drawers. There is also a massive built in wardrobe across the length of the room with 4 mirrored sliding doors and plenty of storage! The room is bright and airy with a lovely leafy outlook and the big window has a fly screen. It also faces away from the road and is nice and quiet. We are in a great location just one block back from all the buses to the city or a 10 min. walk to the ferry and Manly Corso shops, as well as a quick 7 min. walk to Manly beach. There is no off-street parking but we can offer a permit for street parking and we also have extra storage available for a bike or surf board. Electricity, gas and unlimited internet are split evenly between the 3 of us. Works out to be approximately $20 per person per week. Household &amp; cleaning items we tend to share, cleaning is done weekly and the duties are taken in turn. 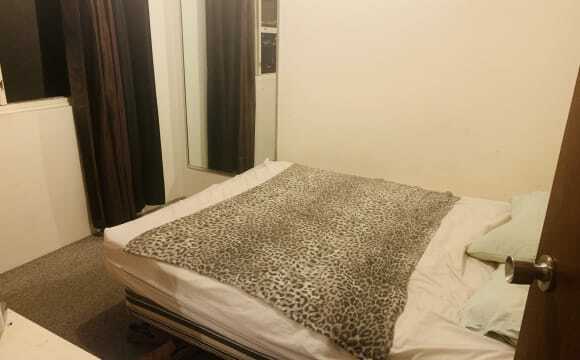 Manly - Furnished Double Room in two bedroom apartment. You can bring your own bed/furniture if you like as those there can be stored. Less than 15 minutes walk from Beach, Corso and Ferry Covered parking space free and Internet free The apartment has a washing machine. Only bill is electricity to be split equally. 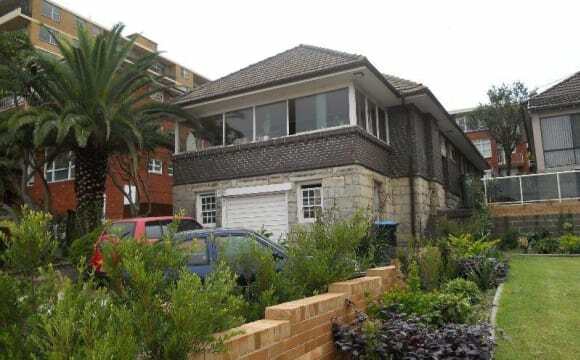 Located across from grassy habourfront reserve, Fairlight walk, and Delwood Beach. 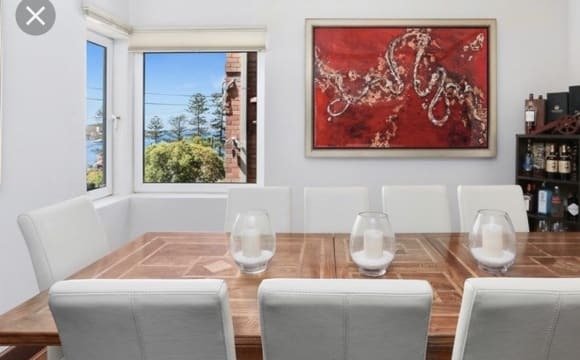 It’s only a few minutes stroll to Manly Wharf, harbourside beaches, corso and Manly Beach. A first floor apartment which includes a spacious living area with amazing views, contemporary fitted kitchen, including a breakfast island, gas cooktops, dishwasher, and large fridge. You’ll have a private double bedroom, with mirrored built-in wardrobes, access to a modern bathroom with corner spa bath and laundry. You will feel at home in this great 3 bedroom share house in Manly. It has high ceilings, lots of light and a sunny garden out back. We're a 10 minute walk to both Manly Wharf or North Steyne with easy access to ferries into the city, Aldi/Coles, the Corso and of course the beach! The private patio and garden (with veggie patch if you have a green thumb) is the perfect place to relax. The kitchen is spacious with a gas stove and dishwasher which allows for big dinners with friends. The beautiful front bedroom of the house is available and fully furnished plenty of space with a queen bed and desk, along with the built in wardrobe. Can comfortably accommodate a couple. The main bath is shared with just one other flatmate. A private front porch area can be turned into a great outdoor area for to enjoy a coffee or hangout. $430 for single &amp; $500 for a couple. 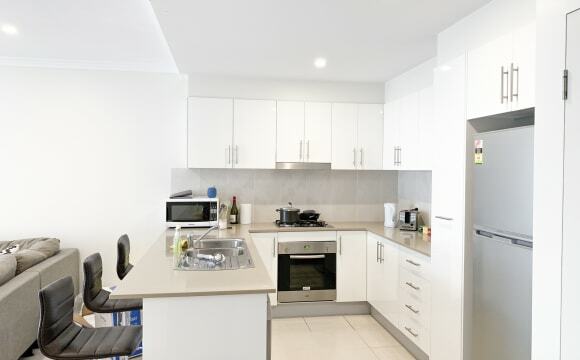 It's freshly renovated and fully furnished 2-room apartment in Manly. It is very bright and quiet apartment on top floor with a sea-view. Only 7min walk from The Corso, beaches and ferry. The queen size bedroom has built in cupboards and office desk. It is perfect for one person, no couples. 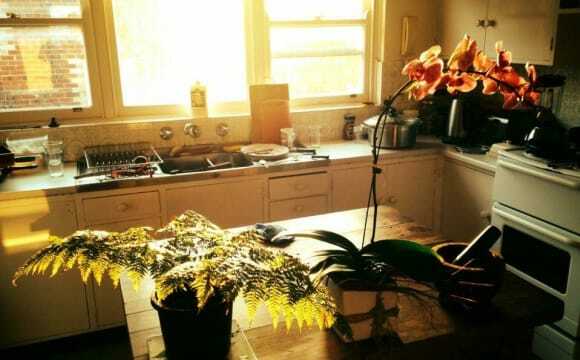 Kitchen, living-room, bathroom and laundry will be shared. 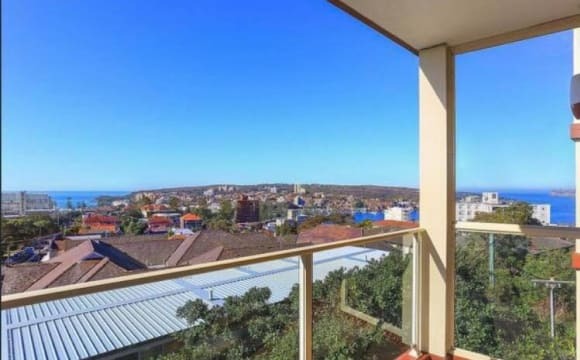 Beautiful top floor flat in central Manly location, equipped with tumble dryer, washing machine, fully fitted kitchen and balcony. The room comes furnished with wardrobe, bed and chest of drawers. 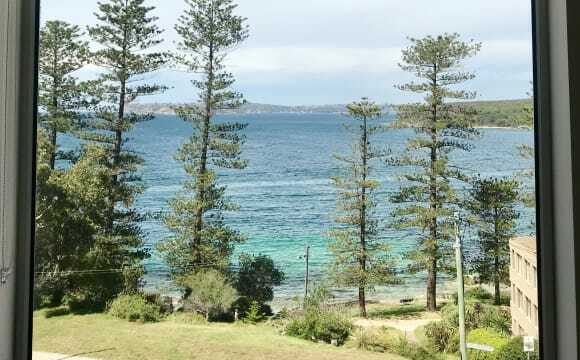 10 minutes walk from Manly, 5 minutes from Manly Oval, close to bus stops and the ferry. 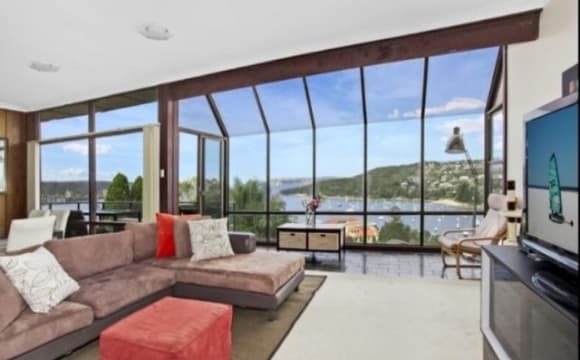 Great Manly pad with stunning water views located right in front of the Manly Museum &amp; Art Gallery. A short 5 minute walk to the ferry or bus stop for the CBD commute. Balcony, BBQ and a 5 /10 minute walk to the cafes, bars, restaurants and beaches of Manly ... quite simply an amazing place to live. Off-street parking (free permit!) and a garage to store some stuff if needed. The person moving into this flat should be relaxed and up for a laugh, apart from that James is an open minded guy! We all take care of the place and expect anyone moving in to do the same. Private room in a tasteful and quirky Manly apartment. 5 min walk to the ferry, beach or shops. Conveniently located close enough to everything and yet tucked away from any main thoroughfares. I'm looking for a single person to flat with (not negotiable, so please don’t ask). 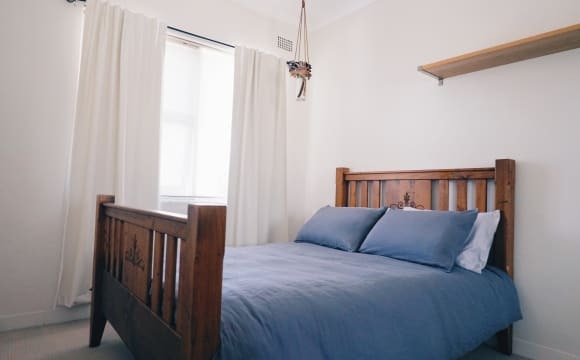 The room is bright and airy, available furnished with a double bed and a built in wardrobe which offers plenty of storage. In the kitchen, you will find everything you need to cook up a storm.. including a Nutribullet, Wusthof knives, Le creuset, Spring and cast iron pots and pans - please take special care. The lounge/living area is open plan, bright, breezy and opens out onto the balcony, which looks out onto trees and greenery. Other things included in your rent will be some basic household items which I will specify, as I am quite particular about using only the best eco non toxic household products. Please note: Short term stays are $475 per week, bond is still applicable and refund a week after you vacate, given there is not damages caused. The unit is super close to everything Manly has to offer, and if you work in the city its a busstop pretty much right outside the building, or the walk to the wharf takes you 4 mins. The apartment is nice and bright, and is in a quiet building. The photos are of the room that will be yours. The apartment is fully furnished, if you want the existing bed thats in the room you can, if not you are more than welcome to bring your own! 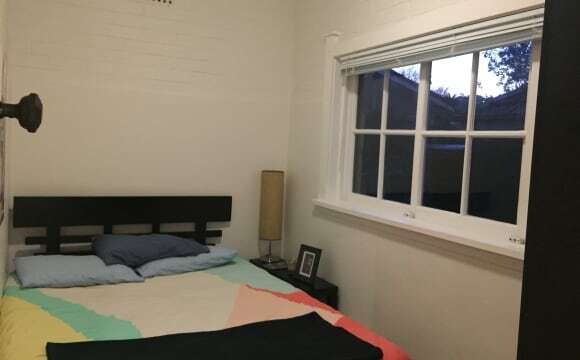 Unfurnished room for singles at $365 inc or couples at $430 inc. North facing balcony, internal laundry, close to Coles, Woolworths and Aldi and B1 bus route. Non smokers. There is a double garage available at an extra cost. Rent whole garage or share half with another tenant. 3 blocks from Corso in Manly. 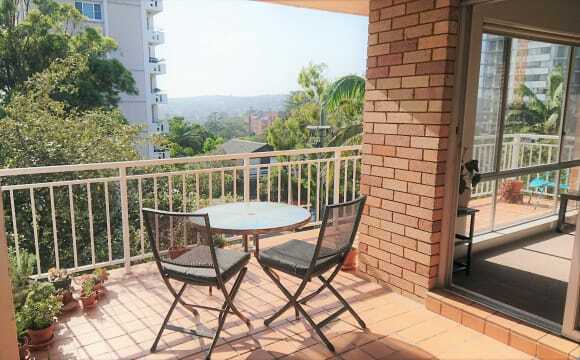 This place is a fabulous 2 bed 2 bath apartment with 2 large balconies in the heart of Manly Vale. It is about 100m back from the b-line bus stop which is very handy and right in between all other amenities. The room available is the master bedroom. It is a large room - will fit any size bed. It has a large triple mirrored built in wardrobe and access onto one of the balconies which is shared with the other bedroom. It comes with a decent size ensuite. It is an unfurnished room.There is also a lock up car space available if needed at an additional cost. It is a quiet building and the apartment is quite large and only shared with one person and a small dog. No couples or smokers please. *the picture with furniture is to give you an idea of size - it does not come furnished. The bed pictured is a queen. Flat details: Sunny 2 bedroom apartment, close to all that Manly has to offer, sharing with one other professional female. - Well maintained apartment, 2 double bed, both with massive built in cupboards (x3 cupboards) - Bathroom with separate shower and also separate toilet. - Internal washing machine - Large long balcony with bbq, sea view glimpses and private. - Great spacious living /dining area. Bookshelves and space to have stuff out - offstreet parking available Apartment is in a convenient spot, just 12 mins walk to the ferry, 8 mins to the beach. Prefer a flatmates who is +36yrs, no couples and no room share option available.